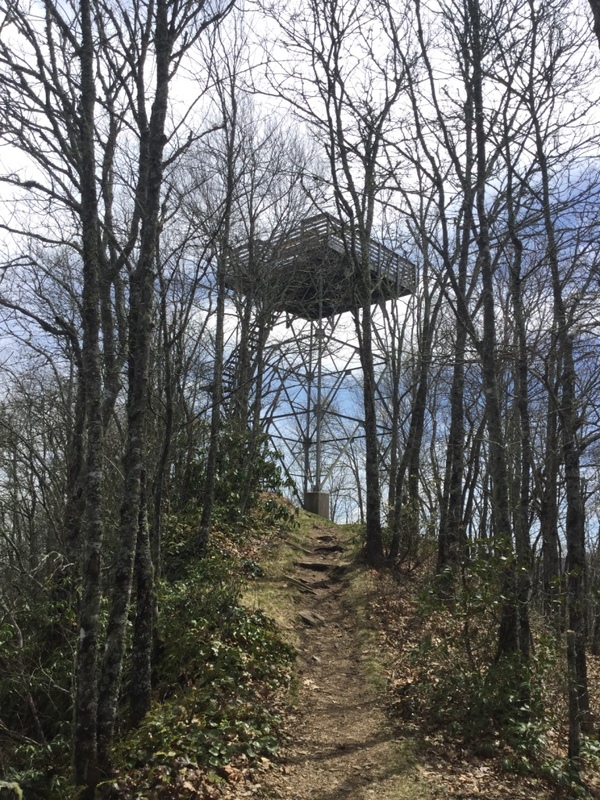 One of my favorite things to check out while hiking in the southern states of the AT was the various towers that we would come across. It was especially neat when you had access to the top where you could get breathtaking views. 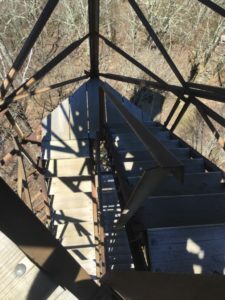 I’m not one who is scared of heights, but I’d be lying if thoughts didn’t cross my mind regarding the condition of the towers I was climbing, and I would occasionally get some minor vertigo. 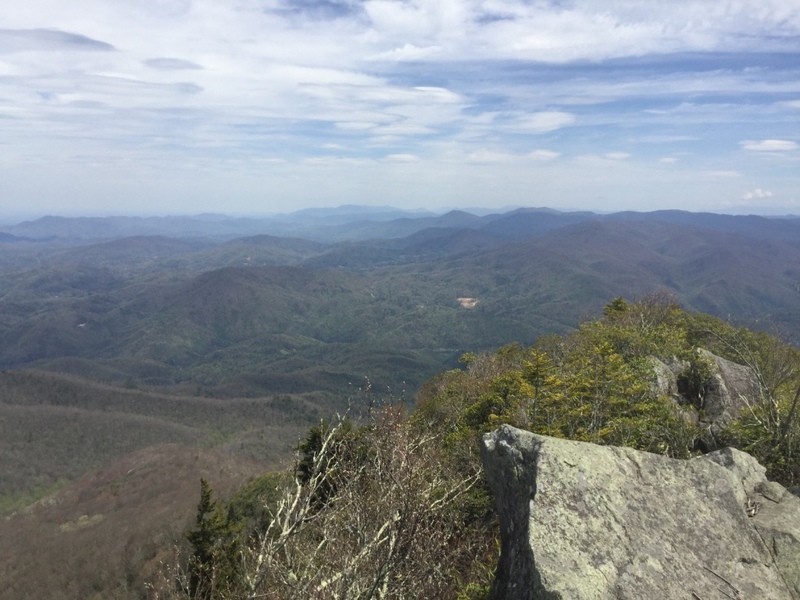 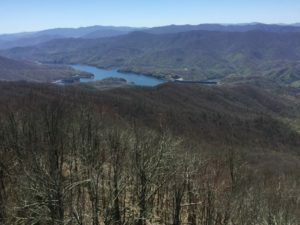 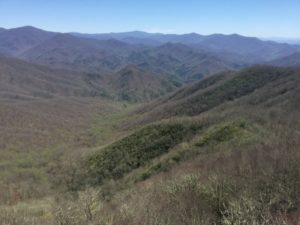 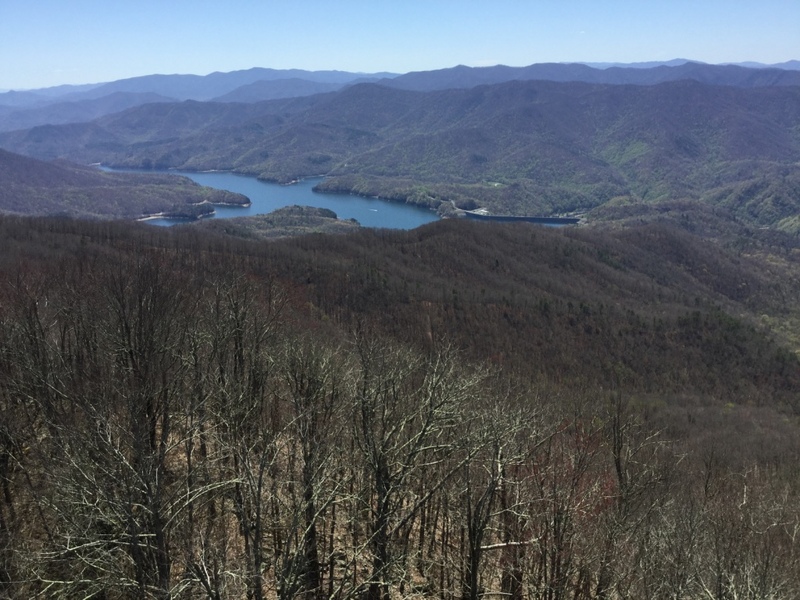 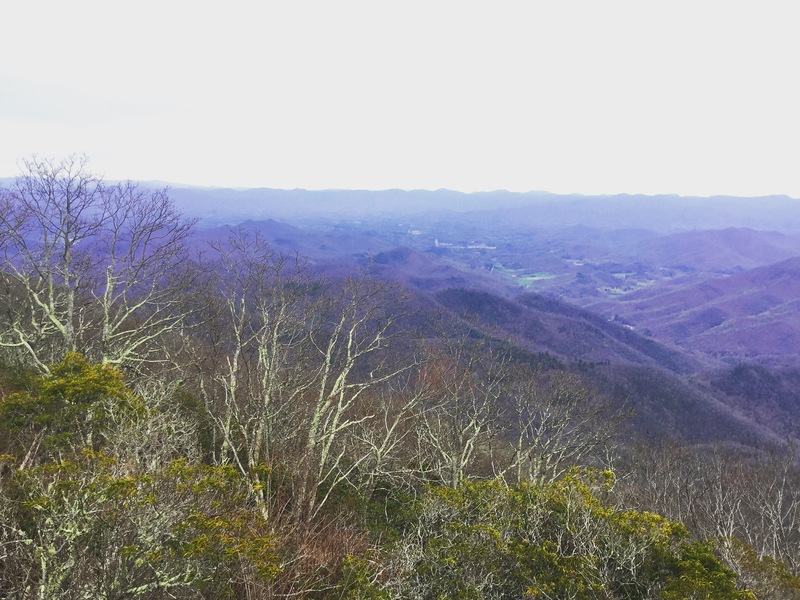 In case you’re looking forward to doing some extra climbing on your future thru hike, or just want to kill some time on the internet, here’s a visual journey of the towers in the southern portion of the AT. 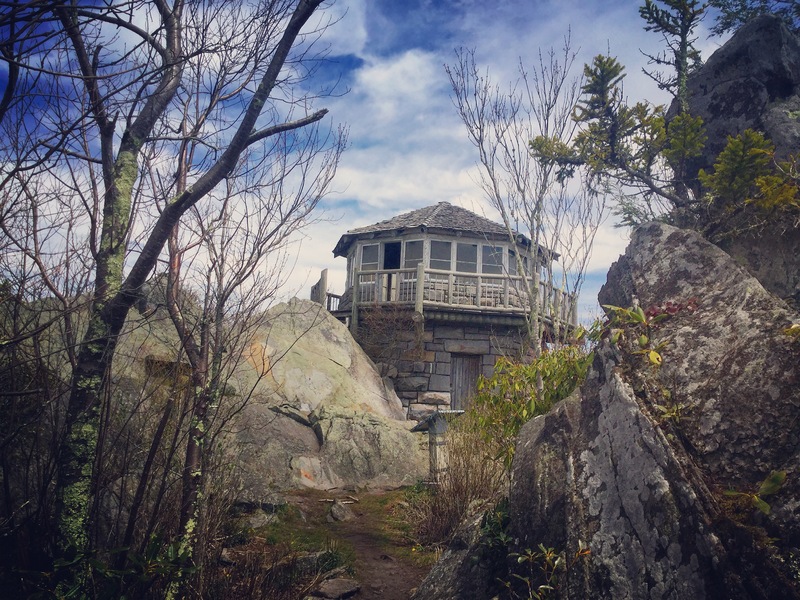 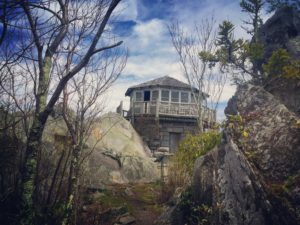 The first one you’ll come across when hiking NOBO will be after completing your first 100 miles at Albert Mountain in North Carolina. 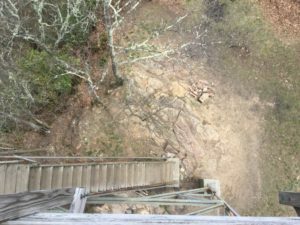 You will feel very accomplished after conquering the rock scramble that will likely have you on hands and knees to climb. 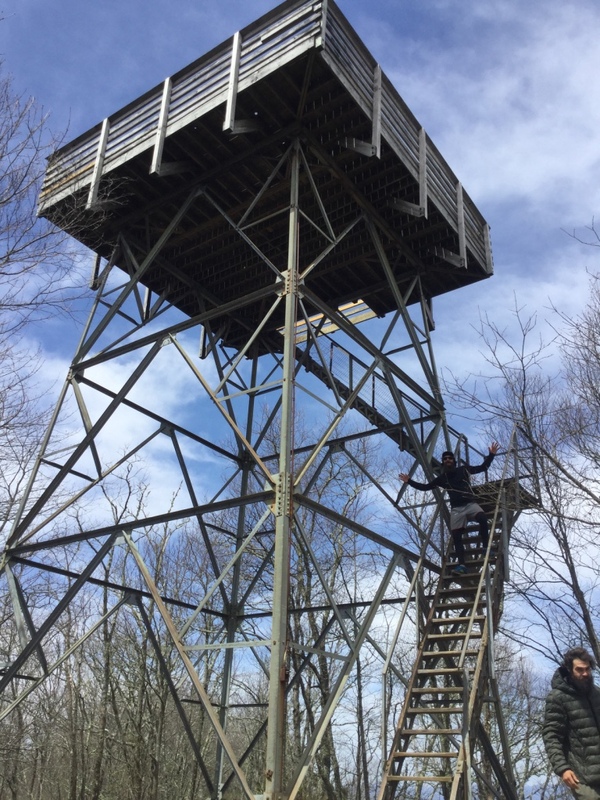 I’m an idiot and was a bit too eager to reach the top of this tower with eyes focused on the ladder, and ended up smacking my head on the door anticipating more steps in my climb. 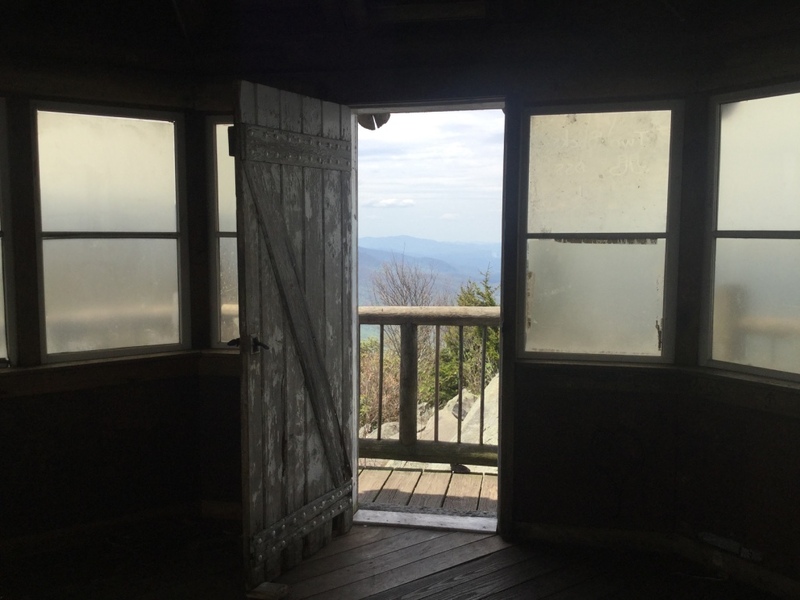 Unfortunately, the door to the top balcony was locked up, but there were still some pleasant views to be had. 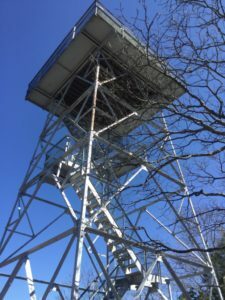 About 20 miles further north, you’ll take a paved footpath which passes a stone lookout tower (previously a fire tower). 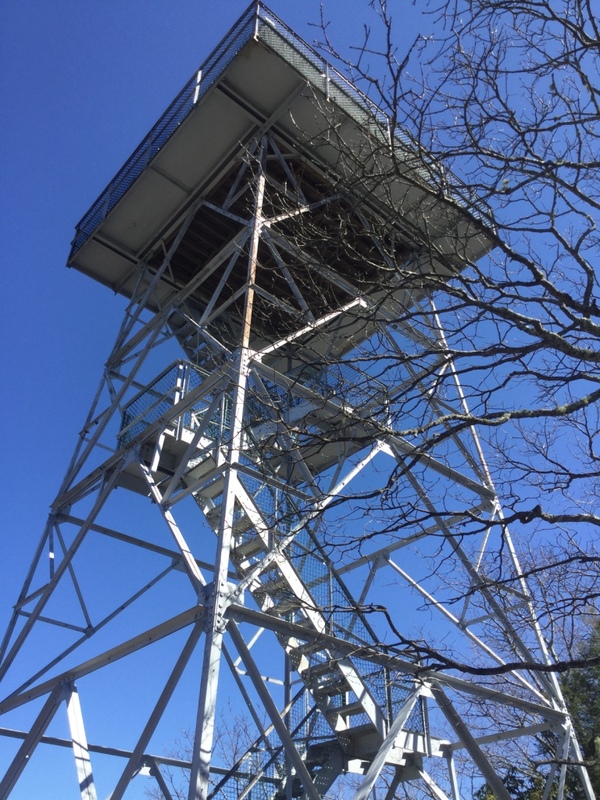 Even if you have a fear of heights, you’ll feel safe and secure taking in the views of the mountains and the town of Franklin, NC from this tower. 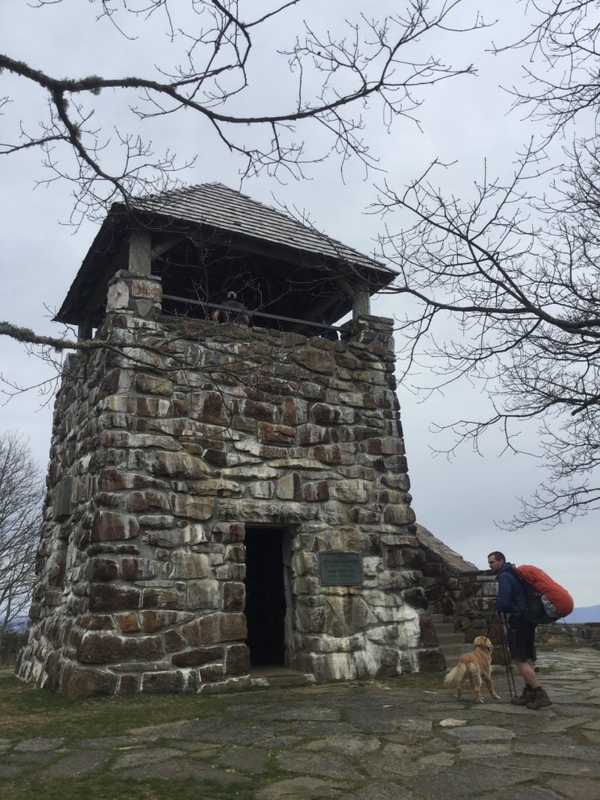 It was raining a bit when we arrived here and was a nice place to dry off before booking it to the next shelter less than a mile away. Rumor has it that there’s a killer view of the sunrise if you get up early enough. 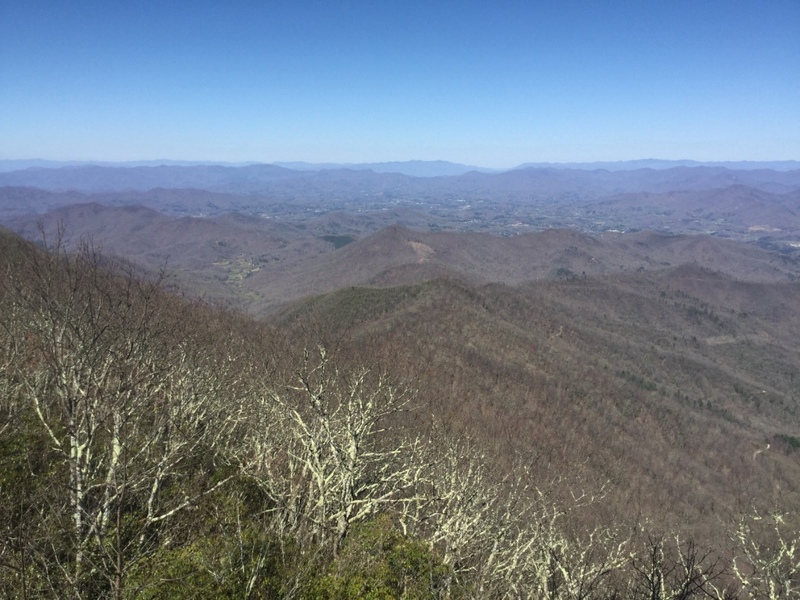 If you head north about 10 more miles and look your right once you get up to the top of the hill, you’ll see a short side trail about 40 yards east to Wesser Bald tower. 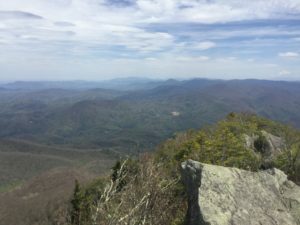 Be careful not to miss it as you might be so focused on staring at your feet and the trail ahead of you that you might bypass the side trail altogether. I almost did and I know a lot of people were bummed out to hear they missed it while discussing it later at the shelter. 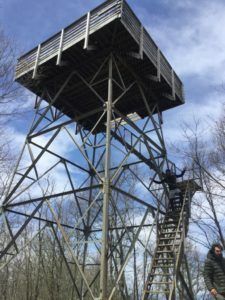 This tower is not recommended to those scared of heights as the wooden steps up to the top shake and don’t exactly feel sturdy. However, once you get to the top, you can expect to find an amazing panoramic view! 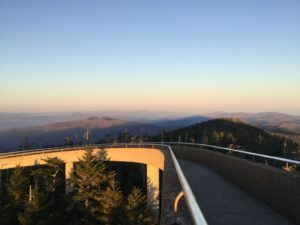 Another warning; the top deck can feel a bit wobbly as well and it can get a little windy up there. 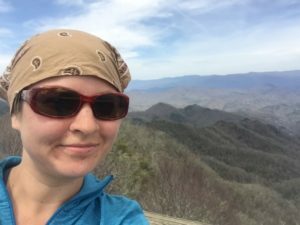 Put on your puffy! 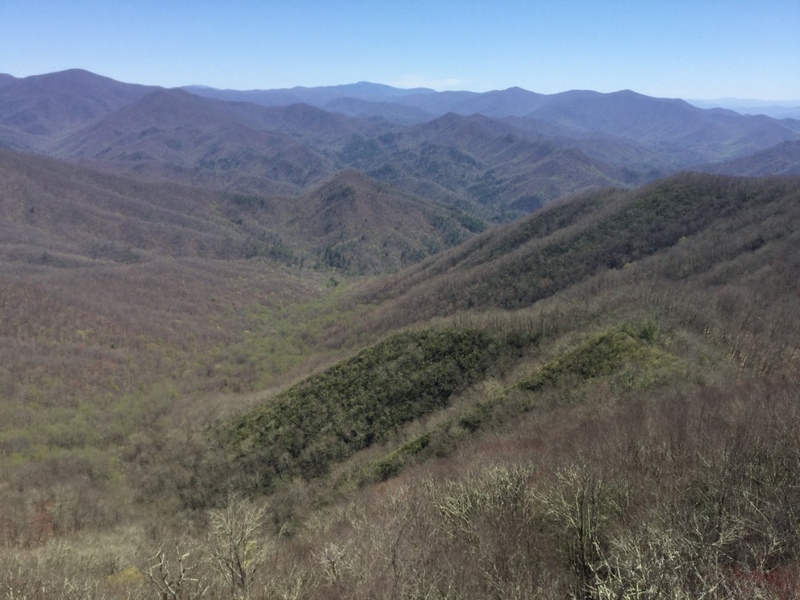 The next tower won’t be until you’re about 4 miles into the Great Smoky Mountain National Park. 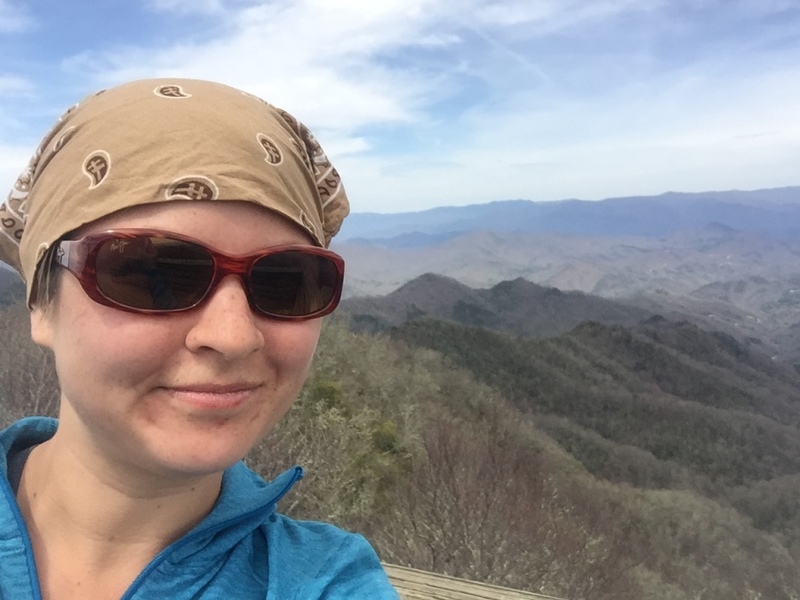 There’s a side trail one-tenth of a mile east uphill (may I recommend ditching your pack before you go? ), which is totally worth it as long as you aren’t scared of heights! 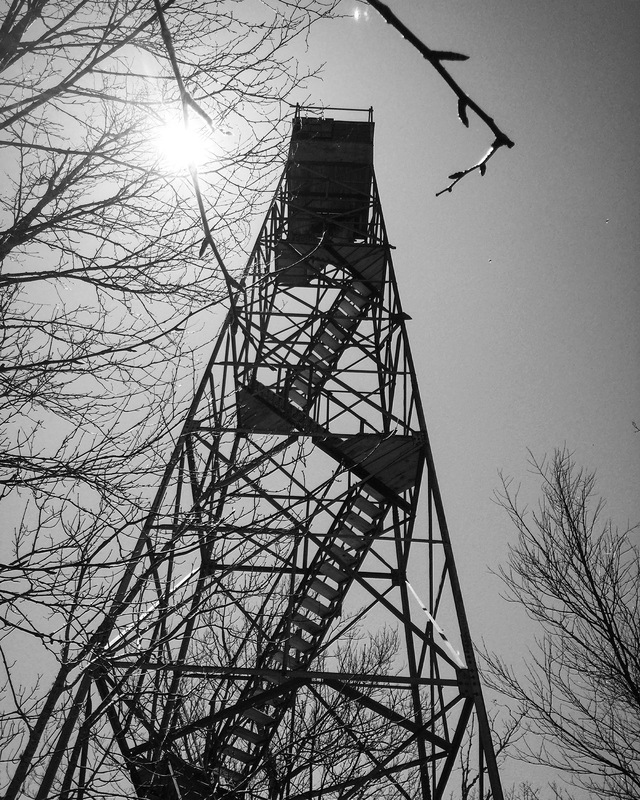 This was probably the sketchiest tower I went in, and a lot of people opted out since it was so tall and rickety. The stairs are very open to the elements with only a few cross bars preventing you from falling (by preventing you from falling, I mean not at all!). 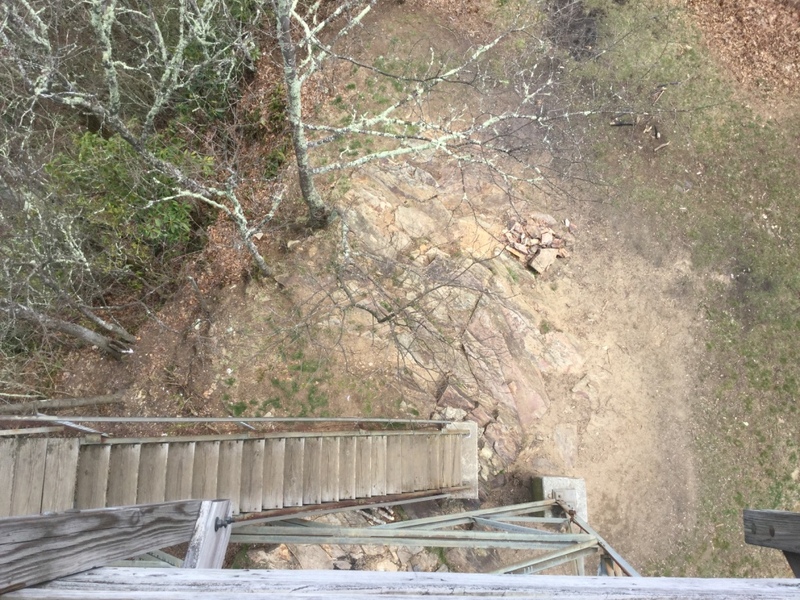 The view at the top is great, but there is only a soggy piece of plywood of a floor holding you up which has definitely seen better days, and feels like it might just crumble underneath your feet. 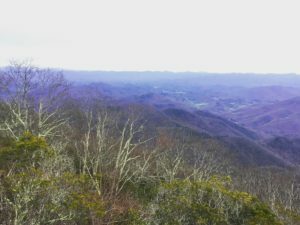 As soon as another hiker was approaching the top which I was somewhat comfortably enjoying alone, I insisted on getting down first. 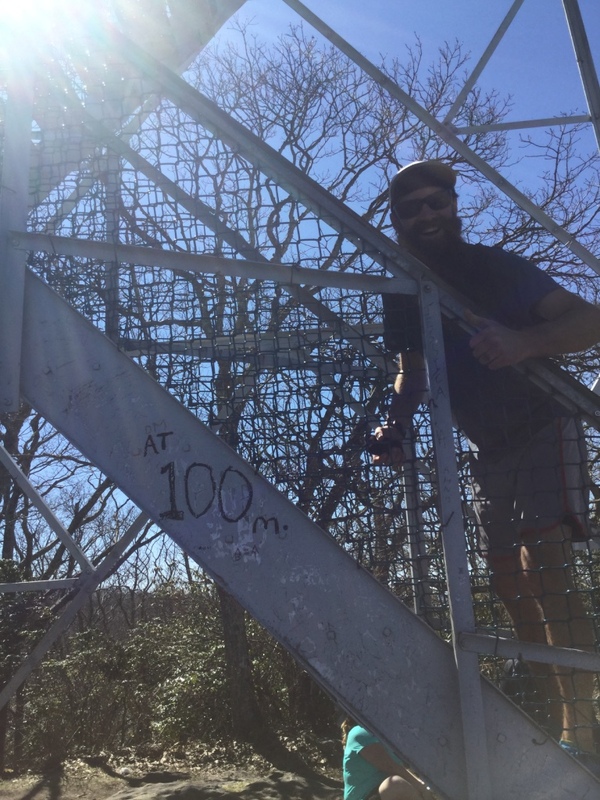 In my opinion, it didn’t feel like it could support much weight. 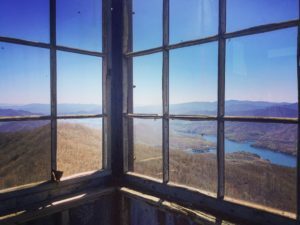 Amazing views, but definitely not for the faint of heart! 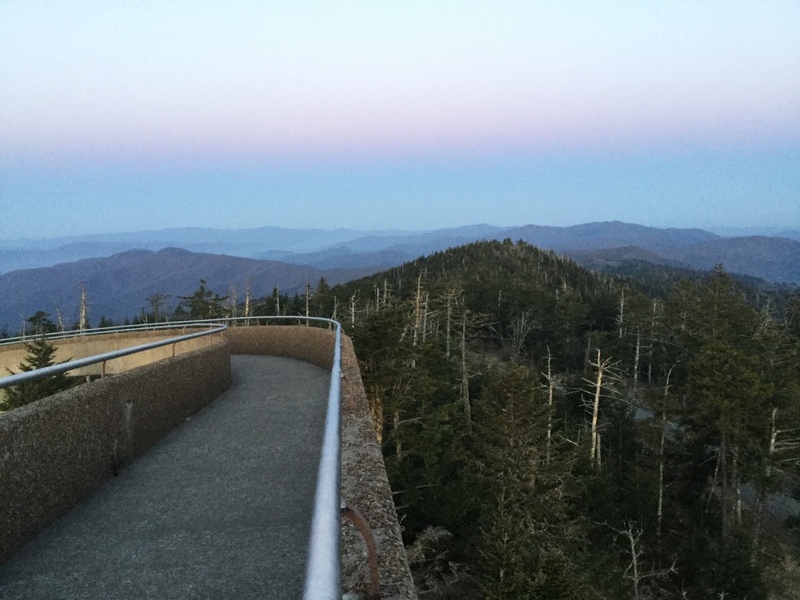 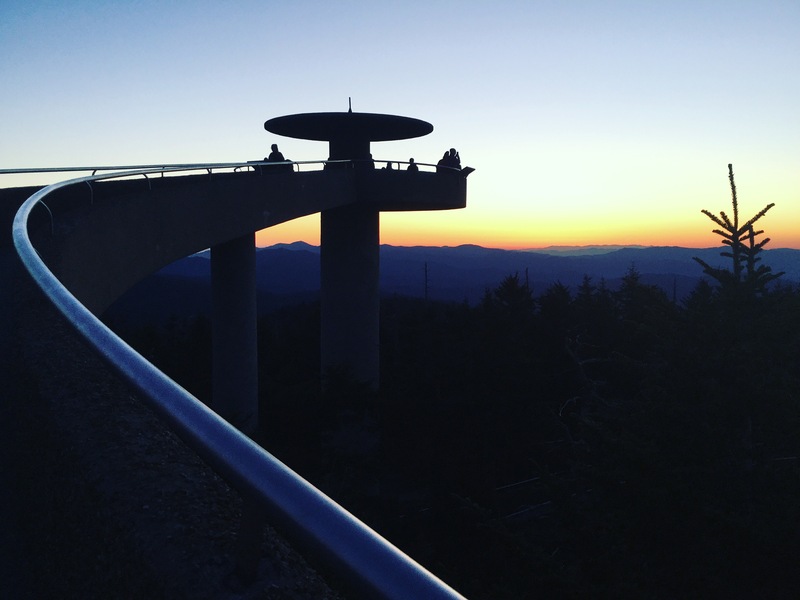 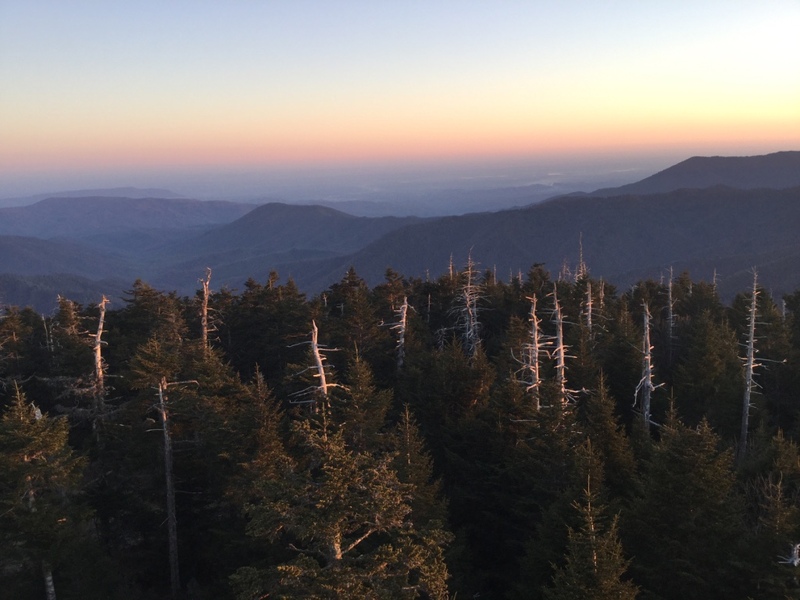 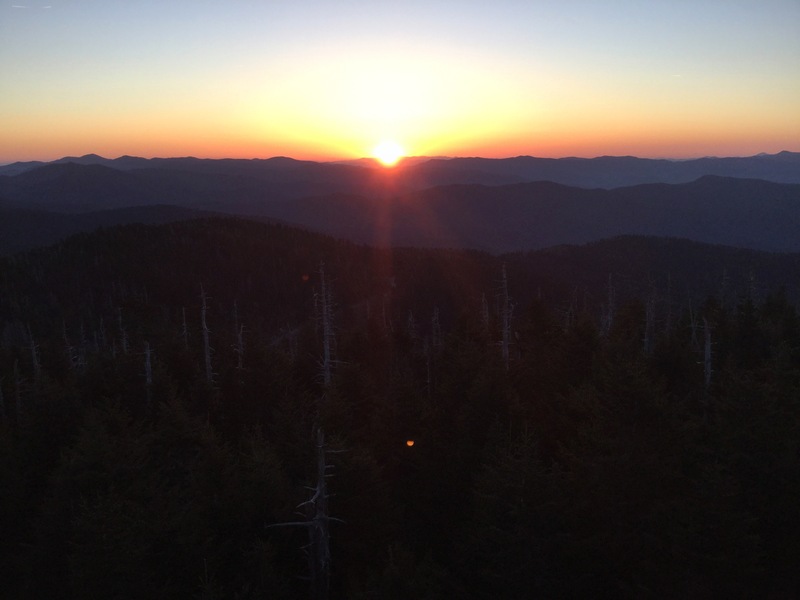 Nearing the middle of the Smoky’s, you’ll reach the highest point of the Appalachian trail at Clingman’s Dome. 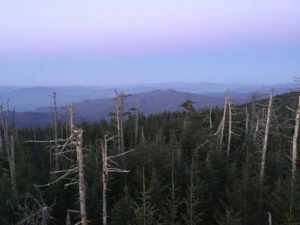 We were lucky enough to spend time in the Smoky’s with clear skies and no bad weather, and after a short night hike, we got to check out a gorgeous sunrise from here. I highly recommend doing the same if weather and air pollution permits! 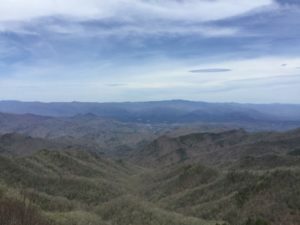 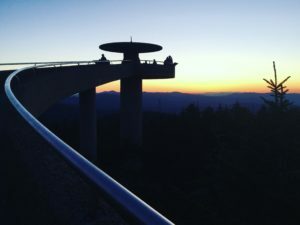 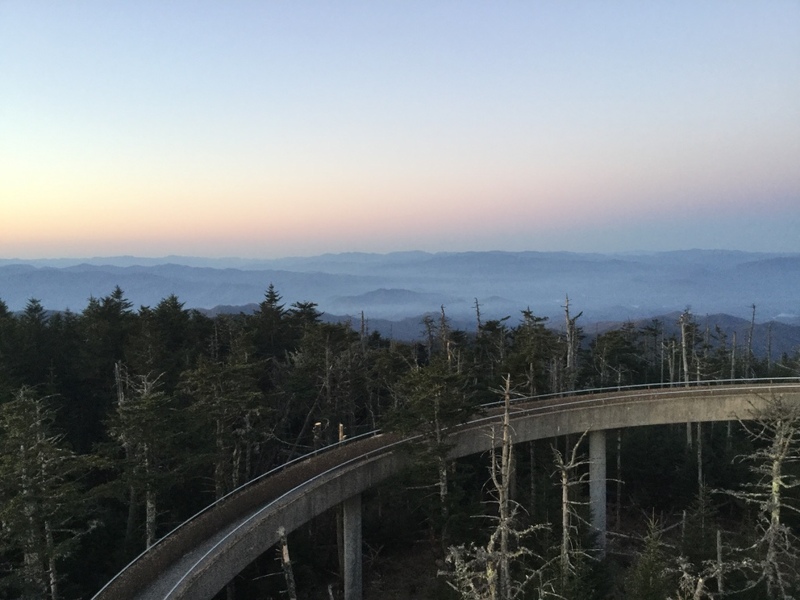 It is noted that you can see up to 100 miles on a clear day (although air pollution usually limits it to 20 miles on most days), and you get 360 degree views which include the mountains you just traveled across, and the towns of Gatlinburg and Pigeon Forge. 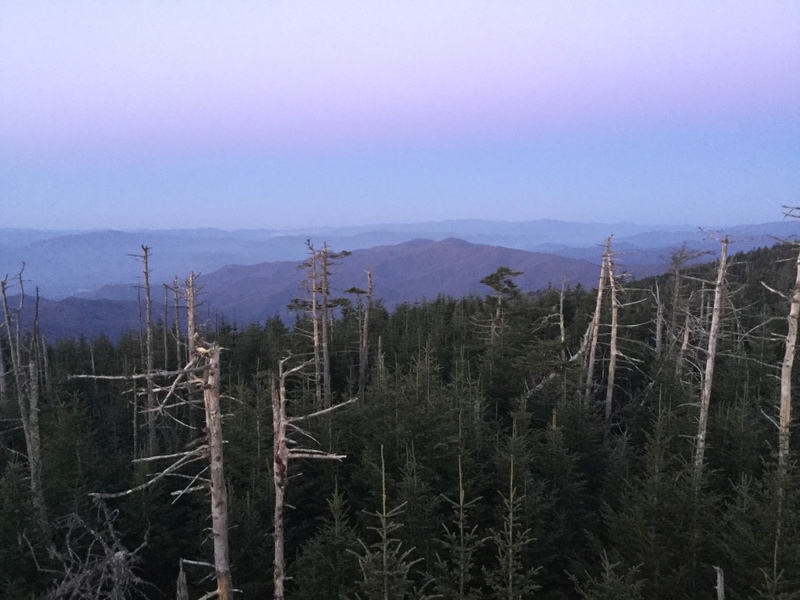 It was a chilly morning, but the views were surreal! 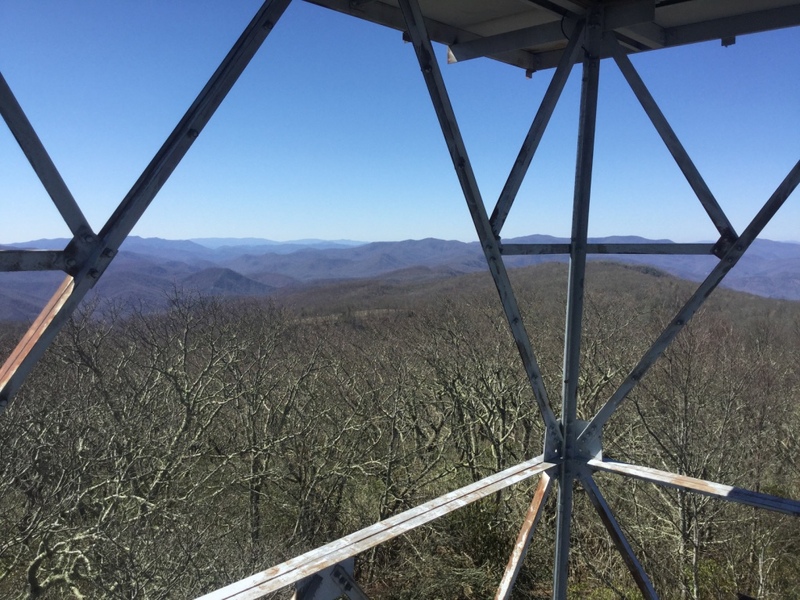 To check out this tower view, you’re going to have to hike quite a bit extra (over half a mile) on a side trail, but I have to say it was totally worth it! 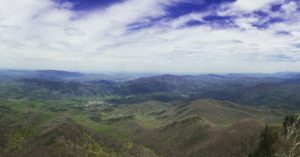 We ditched our packs and were not too pleased to start traveling downhill, but enjoyed hopping along small rock scrambles. 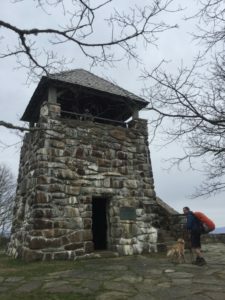 The trail started looking almost beachy with pretty flora to take in before approaching the tower. 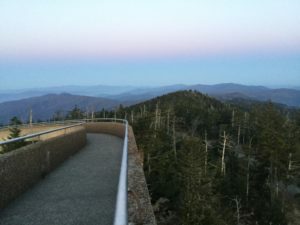 You have to climb up rocks to get to the deck, but can walk around it for some amazing views. There’s even a nice indoor area, which although I’m uncertain that it’s permitted, was told by local hikers is a nice place to call it a night. 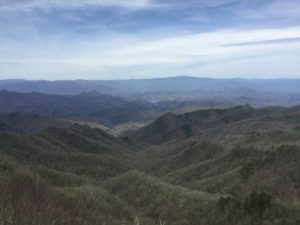 I unfortunately was unable to explore this one due to the Hot Springs wildfires of 2016, but to get there, you take the side trail (one-tenth of a mile) west which is about 6 miles northbound from Hot Springs for some panoramic views! 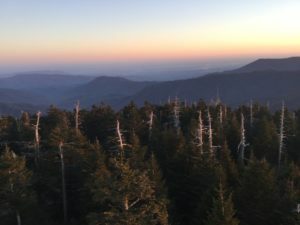 I’m excited to check it out on my second thru hike attempt! 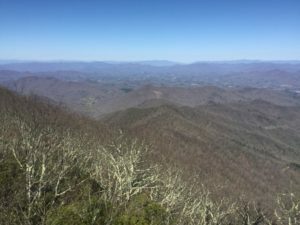 PreviousTo Hike the Approach Trail or Not?